You, our customers, have spoken and we have listened. That’s why, beginning this Saturday, May 5, we are opening our store earlier. 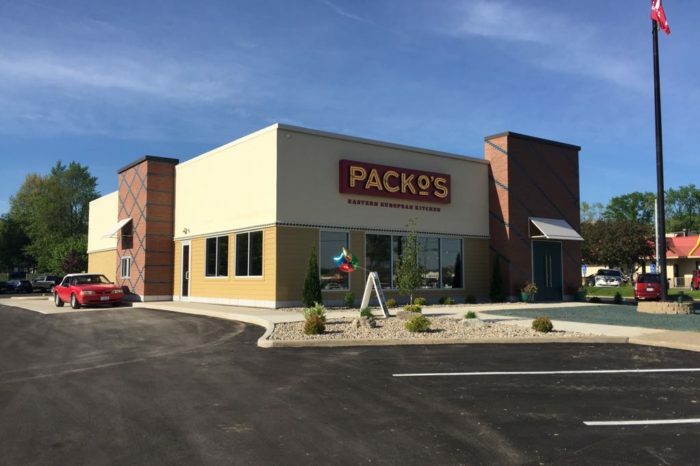 The new Saturday hours for our Perrysburg, OH showroom and inside sales team will be from 9 a.m. to 2 p.m. Opening an hour earlier allows our customers greater flexibility to shop earlier so they can get what they need for the day and be back in their restaurants before the busy lunch rush. As a thank you to our customers, and in celebration of these new hours of operation, the first 10 customers will receive a gift card to a major retailer or restaurant, with a qualified purchase. Monday through Friday store hours remain the same, 8:30 a.m. to 5 p.m. in the showroom, 8:30 a.m. to 6 p.m. on the phone and in live chat. 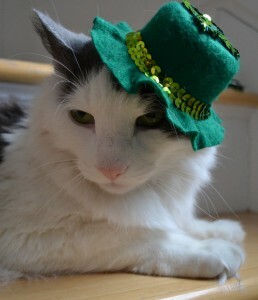 We look forward to seeing you inside our showroom store, online at www.burkett.com or by phone at 419-242-7377. New hours, same Burkett. Exceptional service. Every customer. Every time. The International Pizza Expo dubs itself The Largest Pizza Show in the World. It’s the place to be for pizza professionals. Now in its 34th year, the trade show features more than 7,000 attendees and 500 exhibitors. On March 19-22, they’ll all descend on the Las Vegas Convention Center in Nevada. 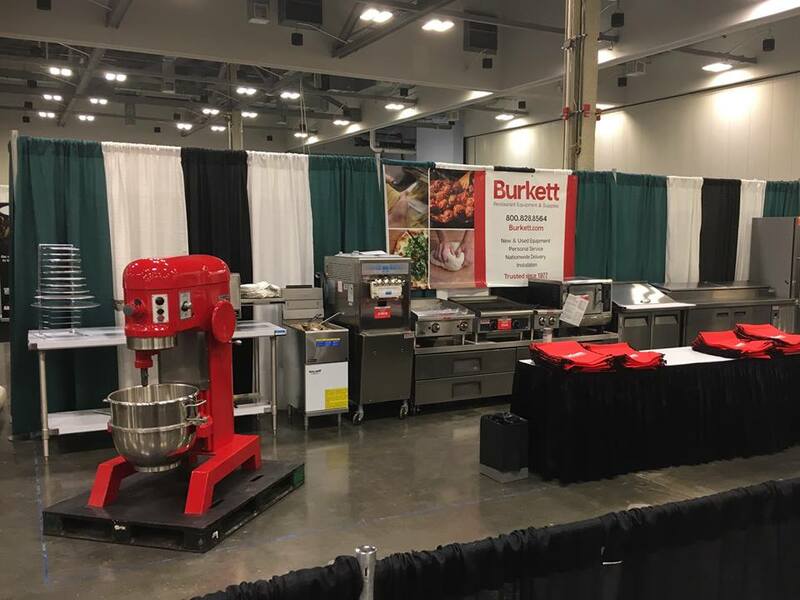 We are excited to announce that, for the first time, Burkett Restaurant Equipment & Supplies will be among the exhibitors. At Burkett, we know pizza. From independent restaurants to regional and national chains, pizza is the No. 1 business type we serve. If you’re at the Expo, stop by Booth #2104 and we’ll tell you why. Or ask places like Marco’s Pizza, Pizza Fire, and Master Pizza, owned by U.S. Pizza Team Captain Michael LaMarca, and they too can tell you why they’ve chosen to make Burkett their one-stop shop for all their pizza equipment and supply needs. With an estimated $43 billion in annual sales, it’s easy to see why the pizza restaurant industry is popular right now. With the help of our veteran team of business development experts, we can help you with everything from concept to build to completion and beyond. 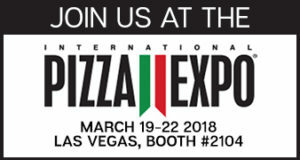 We are looking forward to 90 keynote addresses to choose from, the seminars, and watching the International Pizza Challenge — with Pizza Maker of the Year finals — and the World Pizza Games. This is our first time at the expo but from what we are told carbs and calories will not be counted. We also look forward to reconnecting with old customers and meeting new ones. Schedule an appointment with us at the Expo via this link or call Burkett Business Development Manager Travis Lusky at 419-720-8194. The Ohio Restaurant Association’s Mid-America Restaurant Expo aims to innovate, inform, inspire. 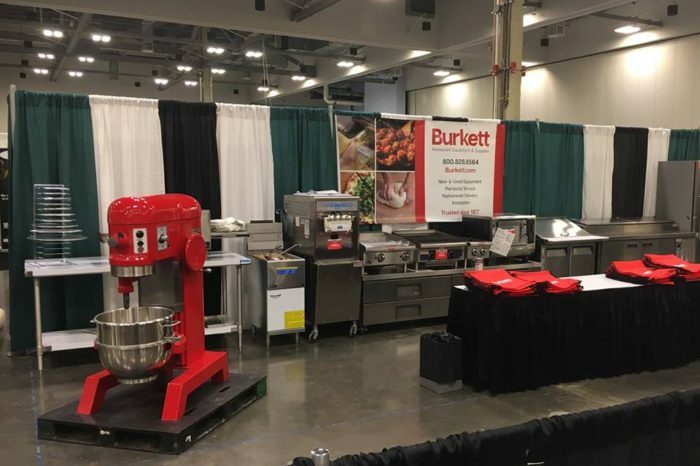 We are very excited for this year’s expo, and not just because that theme is also central to Burkett and our 40 years among the leading distributors of restaurant equipment and supplies. We are excited to hear the keynote speaker, Cleveland’s own Iron Chef Michael Symon. We are excited to see old friends and make new ones as they visit our booth, No. 721, inside the Greater Columbus Convention Center, 400 North High Street, Columbus, OH 43215. We are excited to watch the classic Pizza Pizzazz Competition and the all new Expo Burger Battle. We are excited to be among the 4,000 in attendance discussing the latest trends and topics and the foodservice industry. We are especially excited to talk to independent restaurant operators and regional chains, whether start-ups or longtime staples, hear their stories, and see what solutions we can offer moving forward. From the local mom and pop shops, to food trucks, to major franchises, we’ve always thought of every customer as a partner in business. 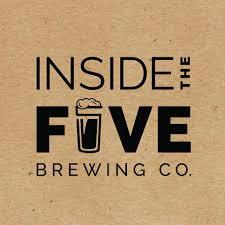 It was our philosophy from the day we first opened our doors and it still holds true today. We take pride in the products we sell, the service we provide, and contributing to the success of every type of business we serve. 2017 was a year of great strides and improvements for Burkett and we are ready to hit the ground running in 2018. That all starts on Jan. 28-29 in Columbus, Ohio. Expos are a time where both businesses and customers can break away from the day to day operations and really focus on themselves, their wants and needs, and get focused on meeting and exceeding goals and ambitions. It’s that time of year again, and we couldn’t be more excited for this year’s Mid-America Restaurant Expo! Check out the full schedule of events here and check out video highlights from the 2017 Expo below. Memorial Day is a good indicator that the weather is (finally) breaking. By now, you’re getting your table and chairs out of storage, umbrellas unrolled, and outdoor patios, sidewalk cafes, and beer gardens are gearing up to open for business. While residential grade grills are used for seasonal outdoor cooking, they have a hard time standing up to general wear and tear of the elements and daily use. A fun alternative for foodservice operators with patios and outdoor seating is preparing some or all meals ordered outdoors….well, outdoors. Many places already have an outdoor bar, so why not consider purchasing a portable commercial grill? Much of this depends on your menu, of course, but the option to open up your outdoor seating and grilling burgers and brats is exciting! Portable commercial grills are also beneficial for taking your food (and brand) on the road to local sporting events, festivals, county fairs, or other offsite catering events. Burkett Restaurant Equipment offers a wide variety of portable grills including propane and charcoal, steel top or chrome plated, and different sizes to suit your needs. Start shopping for your best summer today! Equipment You Need for a Fish Fry! The Fish: You will need a dry whitefish that is easy to coat with a thick batter and stays in one piece once it’s in the fryer. 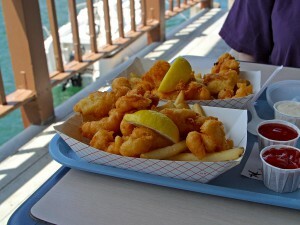 Varieties such as cod, tilapia, and halibut are great choices for a fish fry. Equipment for Your Fish Fry: If you have access to one, a commercial fryer will work best for your fish fry. Commercial deep fryers are available in a variety of sizes and as gas fryers and electric fryers to meet your kitchen’s needs. If you are feeding a large crowd and do not have access to a commercial deep fryer, consider a countertop commercial fryer. Countertop fryers are user friendly and efficient while requiring only a fraction of the space of a traditional commercial deep fryer. They’re also great for appetizers! You might also consider an outdoor fryer. You can easily fry fish, French fries, and more with an outdoor fryer. Look for a model with at least two baskets so you can keep up with large servings. 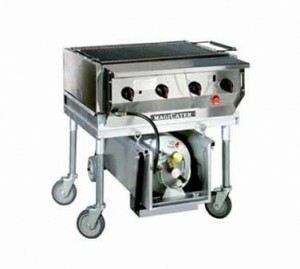 As an added convenience, typically the fryer tank will detach from its stand so you can transport it anywhere. 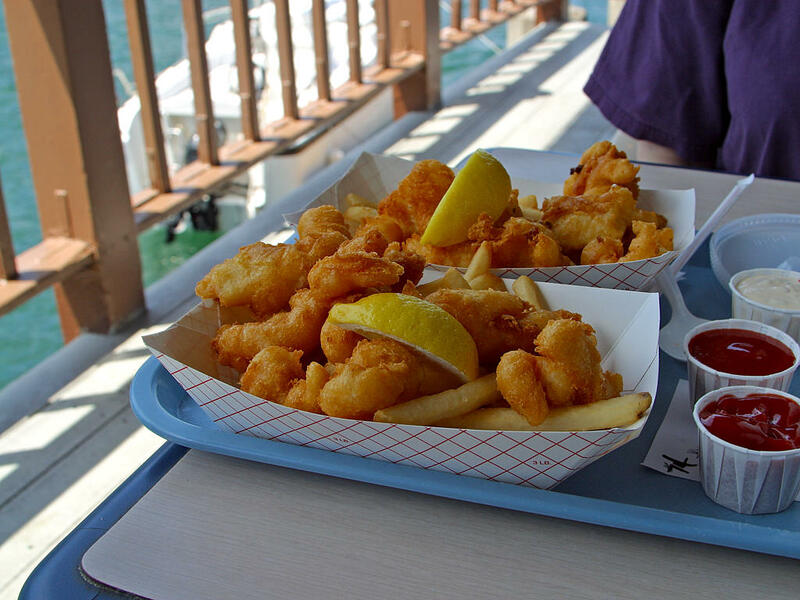 Finally, you’ll need fry baskets so your fish can be safely lowered into your fryers. Be sure to check the measurements of the basket before purchasing to assure that it will fit in your frying space. Pro Tip: If you’re going to deep fry, I recommend peanut or canola because they have the ability to get hot enough to give your fish a nice, golden brown crisp without starting to smoke. Corn and soybean are also good oils; however they will break down quickly, especially at the 350ºF to 425ºF temps you need for a good solid crisp on your deep fried fish.